Take a step back into the glamorous Art Deco period in this exquisite blouson gown. 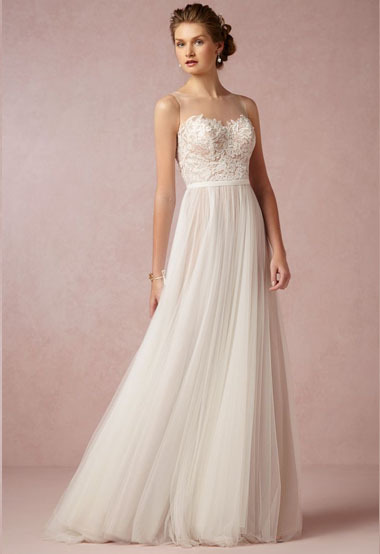 One-of-a-kind beading bejewels the illusion neckline, cascading over the tulle overlay. Covered buttons run up the back for a feminine accent.